Kenya is a wonderful country that lies on the equator in East Africa and is surrounded with Indian Ocean on south-east and Tanzania to the south, Uganda to the west and Sudan to the northwest. Officially known as Republic of Kenya, this country has a land area of 580,000 square km and is renowned for innumerable wildlife reserves having thousands of animal species. Mount Kenya is a significant landmark on which the country has got its name and is the second highest mountain peaks of Africa. 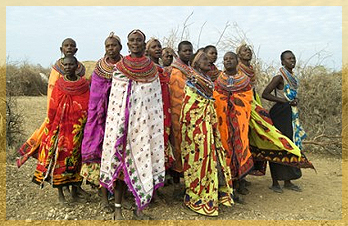 Kenya has a population of nearly about 41 million and people of different religion and culture reside here. With Nairobi is its capital, the country is an ultimate delight especially for the nature and adventure lovers. Kenya is the most popular tourist destination of East Africa, which is known to have best safari destinations, deserts, mountains, vibrant tribal culture beaches and coral reefs. Kenya set a perfect holiday atmosphere with its stunning landscapes to beaches to searing deserts to rolling grasslands to beautiful national parks, the tourists can't just deny the irresistible attractions and charm of the country. The country offers unparalleled range of options in the form of landscapes, cultures, wildlife and several adventurous activities that prove to be the means of endless opportunities. The highlighting attractions of Kenya include Masai Mara National Reserve, which has unparalleled wildlife spectacle. Besides this, the tourists can also explore Mt Kenya National Park and Hell's Gate National Park. With innumerable adventure and tourism options tourists are often seen confused and they find it extremely difficult to plan a Kenya trip. However, tourists must never be in dilemma as for decades the mainstay of Kenya's tourism is its wildlife safaris. Tsavo National Park is the best place in Kenya to see leopards, lions, elephants along with some renowned wildebeest migration. Kenya is one such destination that guarantees wonderful wildlife experience as it is the best spot to see migratory herds of animals that move through the open Savannah. Acknowledged as the wonders of the world, Kenya is also treasured by tourists due to the innumerable water sports organized at the Indian Ocean. Experiencing the Kenya safari will let the tourists enjoy the mother nature and the purity and innocence of the place are going to be the tourists lifelong memories. The prime attractions of the Kenya Safari include hot air balloon safari that will let the tourist experience the scenic beauty of the country and will get a clear view of wild animals amidst the natural setting. Walking Safari and Camel Safari is Kenya is also a memorable date with the African adventure that enable the tourists to experience the African bush in style. Some of the other enthusiastic outdoor activities planned and designed for the adventure lover tourists include trekking of Mt. Kenya, snorkeling at the Marine National Park in Malindi, and ballooning over the Masai Mara. In short, it can be rightly said that Kenya is Africa in microcosm that offers tourists with the real charm of Africa.